In December 2014, people in Ohio took an unprecedented step to protect their communities and natural environment from fracking. To enforce their city ban on fracking activities, the residents of Broadview Heights filed a class action lawsuit against the oil and gas corporations that were threatening them—and against their own governor and state government. The lawsuit seeks a ruling that would stop oil and gas corporations from overturning Boadview Heights’ frack ban, and seeks a declaration that the state’s preemptive oil and gas laws—which require every Ohio community to allow fracking—violate the constitutional right of the people of Ohio to govern their own communities. The residents of Broadview Heights aren’t the only ones pitted against their own state. In Colorado, residents of Lafayette filed a similar class action, based on their city ban on fracking. The Lafayette lawsuit, much like that in Broadview Heights, seeks a court order prohibiting drilling corporations from interfering with the local frack ban, and a ruling that Colorado’s oil and gas laws—which also mandate that every community allow drilling and fracking—are unconstitutional. The communities share more than just lawsuits—in both Broadview Heights and Lafayette, it wasn’t the city government that proposed and adopted the frack bans, in November 2012 and November 2013 respectively, but the residents themselves through a public referendum. Similarly, in both class action lawsuits, it was community members who filed the lawsuits on behalf of all residents of their communities. In the lawsuits, residents are arguing that the actions taken by corporations and their state government—to interfere with and override their local fracking bans—violate the constitutional right of residents to local, community self-government. This argument—that the industry and state together are violating the right of local, community self-government—seeks to reclaim a right that is as old as the republic itself. It is a right that gave the American Revolution its shape, a right that was driven into law by the Declaration of Independence, and a right that was lodged into the United States Constitution and all state constitutions. It is the right to self-govern. The Declaration of Independence states that the people of every community have a right to a system of government that protects their rights and well-being. Governments are established to “secure life, liberty and the pursuit of happiness” and derive their power “from the consent of the governed.” Further, it declares that when governments fail to do so, the people have a fundamental right to change or abolish their current governments and replace them with governments that will. “That whenever any Form of Government becomes destructive of these ends, it is the Right of the People to alter or to abolish it, and to institute new Government, laying its foundation on such principles and organizing its powers in such form, as to them shall seem most likely to effect their Safety and Happiness." Building on that idea, early settlers in what is now New Hampshire and Connecticut created the towns of Portsmouth, Dover, Exeter, Windsor and Hartford, and then joined together to write compacts between the towns that secured the right of self-government to each. Clashes between those asserting that hard-earned right of community self- government and the British Parliament led to armed revolts against British rule 100 years before the American Revolution. Thus, Bacon’s Rebellion in 1676, Culpeper’s Rebellion in 1677, the Boston Revolt of 1689, and the Mast Tree Riot of 1734 were all sparked by colonial rejection of British authority. 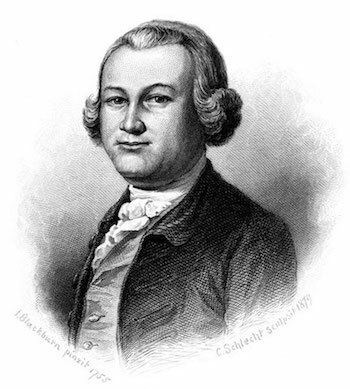 Beginning in 1760, colonial lawyers—including James Otis, Jr.—began knitting those confrontations into a constitutional doctrine. That doctrine, identifying local self-government as a natural and inherent right, elevated the cause of the colonists from one of mere motley dislike of British authority, to a democratic liberation movement. While Otis and others were busy doing what lawyers do—translating the revolt against British authority into terms that the English legal system could understand—Thomas Paine, Sam Adams and other early revolutionaries were busy transforming gangs of rabble rousers into a movement capable of carrying the American Revolution on its shoulders. The people of Broadview Heights and Lafayette face a similar challenge—a legal system that doesn’t recognize that they even exist. Under today’s legal system, oil and gas corporations have more rights than people and their communities. Worse yet, the authority of the state to override the people’s local laws isn’t even questioned. As reflected by the class action lawsuits, the challenge communities face today is the same as the American revolutionaries who came before them. That is, how to force the existing system of law to recognize their right to determine the fate of their communities. b) create a new system of governance by changing constitutions to force the recognition of that right. The first avenue requires people to assert their right of self-government by adopting local laws that ban fracking and other harmful activities. When corporations or higher levels of government take action to overturn their local laws, the people must then argue in court that efforts to overturn their local laws violate that right. The second pathway—creating a new system of governance—requires people to suspend their hope in the courts, and work to override them by changing our constitutions to specifically recognize our right to adopt such laws. The first avenue holds out some hope that our existing system is capable of recognizing and enforcing our right of self-government, while the second acknowledges that it may be too late to depend on that existing system. Neither avenue is exclusive, as both are mutually supporting. If the people find the first pathway blocked—that is, they find that working within the existing legal system to recognize the right to local self-government is stopped by a court or state legislature—the actions of the court and legislature help to “lift the veil” on how the existing legal system really works—and who it works for. People are then forced to question whether our system is based on democratic self-governance and, when they realize it is not, begin to embrace the need for structural change. Those focused on structural change can then use the budding movement to pressure the judiciary to provide remedies as these cases end up in court. The American revolutionaries understood that dynamic. By pleading with the British Parliament and the king, over and over again, they understood that they were exhausting remedies that many people believed they already had—that the existing system was capable of recognizing some degree of American independence. It was only after decades of the British failure to render any degree of recognition to the colonies, that independence became fathomable and, ultimately, attainable. In other words, it wasn’t just a choice. If enough people believe that change is possible through existing institutions, they will not support more radical, structural changes to the system under which they live. And, conversely, if the existing system is capable of providing a remedy, then there’s no need for radical change. It’s the same journey undertaken by those living in Ohio, Colorado, and communities in eight other states who have begun adopting local laws taking on not only the oil and gas corporations, but the agribusiness, energy, and waste management corporations as well. They’re now challenging the existing system to vindicate their right of local, community self-government. If the existing system fails to answer that call, then a platform is built to reach beyond those challenges and begin to write new rules—ones that require courts, legislatures, and corporations to respect local laws like those passed in Broadview Heights and Lafayette, and prevent corporations and governments from overriding them. In the end, this “Second American Revolution” looks a whole lot like the first—showing people that they don’t have what they thought they did, and building a movement that secures to people their basic right to decide the future of their own communities. "no help exists" in govt b/c reagan brainwashed too many to think govt is bad: reagan stated that nine worst words in English vocab were "I'm from the govt. and I'm here to help". which led to current RW hatred of 'big' govt, rise of trump etc. so everybody is only out for themselves. and big corps can take advantage and divide and conquer which they have been doing. And, it also sounds a lot like the states rights argument. If a community decides they'll have separate facilities for whites and (ahem) "coloreds", couldn't they make the same argument that they should be able to govern their own communities?